After denial, there is acceptance. Some in Labour have not yet reached this stage, but increasingly Labour MPs are discussing Britain’s future outside of the European Union. Richard Johnson writes that at the centre of this debate are two issues: Britain’s trading relationship with the European Union and immigration. On immigration, there is a burgeoning debate within the Labour Party about whether or not Labour should argue for retaining freedom of movement, even after Britain leaves the European Union. There have been some surprising voices who have not only accepted the EU referendum result but also recognised that concerns over immigration were at its heart. These concerns were largely a product of people’s dissatisfaction with the effects of EU free movement since the European Union expanded in 2004. Hitherto ardent Remain campaigners such as Stephen Kinnock, Emma Reynolds, Rachel Reeves, and others have recognised that Britain cannot continue to accept limitless immigration from EU countries. This is a positive step and essential for Labour’s survival as a mainstream political party. However, accepting the end of free movement is far from settled party policy. Some in Labour continue to have a tin ear. Clive Lewis, Labour’s Shadow Defence Secretary, stated last week that drawing connections between freedom of movement and low pay or pressures on public services was ‘pander[ing] to xenophobia or intolerance’. Lewis is right, of course, that individual EU migrants should not be blamed. They are simply following the economic logic of existing rules. Lewis does not acknowledge, however, that opposing prejudice against immigrants is also compatible with believing that governments should govern the laws of economic migration in the interest of labour. In his speech to Labour conference this year, Jeremy Corbyn stated ‘It isn’t migrants that drive down wages; it’s exploitative employers and the politicians who deregulate the labour market and rip up trade union rights.’ For Corbyn, it seems, immigration does not need to be controlled as long as there are strong labour rights in place. There are a few problems with this position. First, by being willing to work for less pay than others, low-skilled immigrants have driven down wages. To say this is not to blame them personally or cast malice on them; it’s economic reality. They are working in a system which makes them richer, but which makes the existing low-skilled population in their new country poorer. A study from UCL found that in Britain immigration has depressed wages below the 20th percentile of the wage distribution, but led to slight wage increases in the upper part of the wage distribution. In a system with free movement across the EU but with unequal political economies in each member state, this pattern only intensifies. For example, when the minimum wage in some EU countries is as little as £1.36 per hour, the incentive to move to United Kingdom to do the same job at the £7.20 per hour minimum is intense. If workers in Britain had been doing the same job for £10 per hour, they now would have to accept lower wages or find a new job. Additionally, new immigrants are more likely to take jobs which require fewer skills than they are qualified to do because even lower-skilled jobs will pay more than their higher-skilled job in their country of origin. As a result, EU free movement has damaged most the living conditions of low-skilled workers in rich EU countries. Second, Corbyn’s position provides no answers to the 4.66 million people who are self-employed, the fastest growing occupational class in Britain. There’s no unscrupulous employer to go after. Minimum wage enforcement doesn’t help. These workers still get undercut. Labour is offering them nothing, a major failing of party policy. A third point is that labour regulation should not be seen as an alternative to immigration control. Regulating immigration is a form of labour regulation, one which can restrict supply to protect workers in a country while also meeting demand in industries where there are labour shortages. 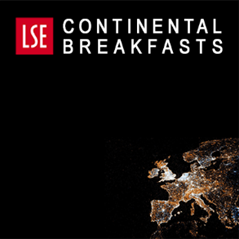 Sceptical about globalisation, Corbyn may personally be ambivalent about open borders. Shortly after the referendum result, Corbyn wrote a piece in the Guardian arguing, ‘If freedom of movement means the freedom to exploit cheap labour in a race to the bottom, it will never be accepted in any future relationship with Europe’. However, Corbyn will be under tremendous pressure from Labour Party members, who are wildly out of step with the British public on immigration and the EU, to support continuing free movement. The electoral consequences of capitulating to Labour Party members on free movement would be disastrous. 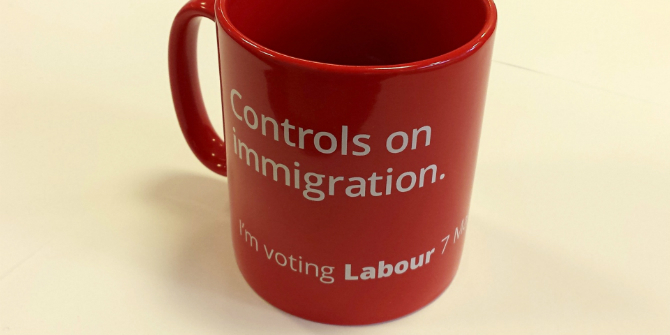 While people mocked Ed Miliband’s ‘Controls on Immigration’ mug, the policy on the mug is supported by the vast majority of the British public, including many who voted to Remain. Seventy-seven percent of the British public want to see levels of immigration brought down, while only 4 percent of the public want to see immigration increase. The EU referendum was a great democratic moment. The British people decisively, with a majority of over 1 million and in the largest turnout in a British election since I was in nappies, voted to end the forty-year political union which Britain shared with, initially, eight and, now, twenty-seven other countries. The key concern was not an ill-judged slogan about NHS spending on the side of a bus. It was immigration. The seeds to the referendum result were sown twelve years ago when the New Labour government agreed to EU expansion into countries which were economically unprepared and without transition controls on immigration, leading to unprecedentedly high levels of migration. To oppose new controls on immigration is to speak for, at best, the 4 percent who want higher immigration and the 17 percent who are satisfied with current levels. It is not a 48 percent strategy; it is a 21 percent strategy. Too many in Labour seem to want the party to become the Lib Dems of c2005 – one which appeals to liberal, university-educated, cosmopolitans in big cities and university towns. It’s a fine strategy, but only if you want to win 60 seats in Parliament. This article gives the views of the author, and not the position of BrexitVote, nor of the London School of Economics. Image source. 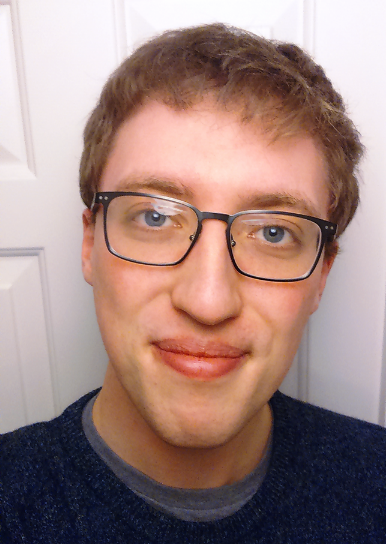 Richard Johnson is a DPhil candidate in Politics at Nuffield College, University of Oxford. He researches elections and representation in the USA and Britain. He has co-authored (with Ashley Walsh) a book on labour history: Camaraderie: One Hundred Years of the Cambridge Labour Party, 1912-2012. 1. The debate is discussed as if the only relevant effect is the impact of immigration on wages – as if the sole merit in EU immigration is that it allows businesses to get the same job done at a cheaper rate. We’re completely overlooking the other element to this picture: skills. The UK has done exceptionally well at attracting some of the most skilled workers from across the EU which has helped generate growth. 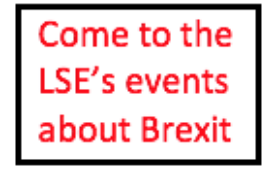 The higher education sector is a good example: take every EU academic out of UK universities and they’d plummet down the university rankings, attract fewer international students, employ fewer people, produce less valuable research and so on. Trying to explain that picture by just pointing at wages would lead to rather odd conclusions, yet that’s exactly what this article does for the economy as a whole. 2. The article mentions the minimum wage but doesn’t draw the obvious conclusion that by raising the minimum wage you can protect the vast majority of those below the 20th percentile (the only people who have been shown to lose out in the study quoted – and the author doesn’t mention that the study finds wages overall have gone up thanks to immigration). What this study actually tells you is that even in the limited case of wages (i.e. even if we ignore every other factor, which we shouldn’t) free movement is a positive for the country. Like anything, however, it isn’t a positive for everyone so it’s incumbent on the government to step in and protect those who are negatively affected – namely by raising the minimum wage. The author tries to dismiss that point by citing the self-employed, who aren’t protected by the minimum wage. First, that doesn’t negate the fact that many of the people below the 20th percentile mentioned above would indeed be protected by the minimum wage. Second, we’re crossing wires by taking a study measuring the whole work force and assuming the same effect is present among the self-employed. Third, the self-employed are an incredibly diverse group, which makes such arguments extremely difficult to make even if we did have proper data on the subject, which we don’t. Fourth, we’re completely ignoring the wider picture when it comes to service costs. It certainly isn’t in the interest of a tradesperson who has no competition in a given area to be exposed to new competition (whether from an immigrant or not). However it might well be in the interests of the hundreds or thousands of people who use that person’s services each year and can charge a more reasonable rate for the service. In short there are more questions than answers here and we certainly don’t end up at a point where we can dismiss the role of the minimum wage in protecting the lowest paid. 4. Like most articles on this subject the link between labour mobility and free trade has been overlooked. If we scrapped free movement in the single market it wouldn’t make workers better off, in fact they’d be at a disadvantage in relation to employers. Employers would have the ability to move wherever they liked within the single market, while workers would be confined to a particular area. This would generate a far worse race to the bottom on wages as each territory attempted to attract employers, while depriving workers of their ability to move and secure better employment prospects. What you’re presenting as a protection for workers would actually achieve the exact opposite in practice – it would deprive workers of their existing rights and give employers, who would still have complete freedom to operate elsewhere across Europe, the upper hand. Such is the muddled nature of the debate in this country that we seem to think depriving workers of their rights affords them greater protection. The only way to square that circle is to also create significant restrictions on the ability of employers to trade freely/move across Europe, something that’s exceptionally unpopular and largely goes against the mass of existing economic evidence on the kind economic conditions that generate employment and growth. And again, almost everything you’re asking for can be achieved using less drastic measures that have none of the negative side-effects. Take the ideology out of the debate and it’s hard to imagine anyone would start from a desire to raise wages for the lowest paid in society and end up with eradicating free movement as the primary solution. 1. The author is clearly talking with respect to low-skilled workers. I haven’t yet heard an argument stating that high-skilled immigration (or those with skills in high demand) should be curtailed. Please define the net direct benefit for the sizeable amount of the UK workforce that are low-skilled of the benefit of an unlimited supply of persons with skills relative to theirs. 2. Simply raising the minimum wage cannot protect those in the lowest 20% quartile. As such a point, employers will lay off workers or switch investment from labour to capital (which is eminently possible for low-skilled sector employment). Think of the low-skilled who earned moderately above the minimum wage then experienced the expansion of the supply of labour whittle away any excess. Effectively, the labour equivalent of arbitrage. Immigration has certainly increased wages, though less so for those in the lowest quartile. Immigration is also a net positive, however in my opinion, the gain should be maximised through controlled immigration of the most high-value workers. Competition should be encouraged, but this type of competition is unfair. European workers can earn vast multiples here than the comparative wage in their respective nation and are therefore much more willing to compromise on terms and living standards. 3.Gross GDP growth is close to being wholly irrelevant to this argument. Productivity is paramount. The flexible labour force and high supply provides sufficient incentives for employers to invest in labour over capital. That is why employment is so high. That is why Britain has seen a vastly reduced level of business investment post-financial crisis. That is one of the reasons why Britain’s productivity growth has been abysmal. (Read “BREXIT BRITAIN: THE POOR MAN OF WESTERN EUROPE?” by the CER for evidence of this). 4. This is an interesting argument. I can’t say I know much about it, though to some extent it already exists. Hency why employers (did) set up shop in the UK as opposed to France. Not sure where the 3 million majority came from. 1,269,501 more people voted to leave or a 1.9% swing. Of those who voted Leave immigration was a major part, although many also were voting against non-EU immigration, and some wanted an Australian points system and more immigration. Others were protesting against London’s success relative to their region, EU regulations, or against the EU super-state and not immigration. The comparisons to wages are unfair as earnings in Romania etc are linked to standard of living, and the differential is not so clear. The problem with the article is the factors behind immigration don’t change because some people are unhappy with the effects on society of EU immigration. We are closely connected with European economies – travel is much cheaper and easier than ever across Europe. We are English speaking, and will continue to attract more young people in the EU who want to learn the international language of business. Our labour laws are very open in comparison to others in Northern Europe and employer costs are very low relative to DE, NL, SE etc. If you want to radically change all of these things by leaving the Single Market, adding expense and bureaucracy in the process in order to control EU immigration at a huge economic cost then would people still feel as strongly?